Professional review of Sisley Cellulinov Cellulite Cream. See how it compares against other cellulite creams. Sisley Cellulinov Cellulite Cream works well enough at toning the skin a bit as well as moisturizing and softening the skin (which all help to reduce the appearance of cellulite). However, the outrageous price on this one keeps us from ranking it higher. It has qualities we like such as some unique ingredients and a good smell. But the short and long term results simply do not justify the price in our opinion. If you’ve got some money to burn, you may want to try it out. Sisley Cellulinov Cellulite Cream comes out of the tube as a white-colored lotion. It has a nice, slick feel to it– almost like a gel. The application of this one is pretty easy and straightforward. Rubbing it in doesn’t take too long as it blends in pretty well. This lotion feels a little thick on the skin, but not too bad. Sisley Cellulinov Cellulite Cream dries quickly. After a few minutes, it felt almost completely dry. This one smells pretty strongly of Lavender. If you know what lavender smells like and you like it, you’ll LOVE this lotion. If you don’t like it, or any lotion that smells strong, this one will quickly overpower you! After some time on the skin, Sisley Cellulinov Cellulite Cream smells very similar to what it does in the bottle, just fainter. Shorter term, Sisley Cellulinov does a good job of moisturizing the skin and making it feel soft and smooth. 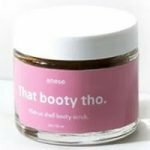 Over time, we got pretty good results with this cellulite cream but nothing amazing like we were expecting for the price. It did help a bit with some toning, and our skin did feel “better” as time went on. But keep your expectations in check with this one. As you might expect, Cellulinov has some unique ingredients in it. Things like longan seed, Indian lotus and red algae are rarely seen in cellulite creams. More common, it does contain caffeine (just like very cellulite cream on the market!). Overall, it looks like a good formulation to us, although we’d like to see less alcohol in it (as it can be drying). Get ready for some serious sticker shock with this one! Sisley Cellulinov Cellulite Cream costs a whopping $242.00 for a 6.7 oz tube. That works out to $36.11 per ounce, which makes it the most expensive cellulite cream we’ve ever seen or tried. Inexplicably, this cellulite cream doesn’t come with any sort of moneyback guarantee. When you’re spending this kind of money, some sort of guarantee would be nice! To buy Sisley Cellulinov Cellulite Cream, click here. About the Author: Hi, I'm Elizabeth Adams, the founder and Senior Editor of Cellulite.com. I’m the one who personally tries out most of the cellulite creams, procedures and treatments you’ll read about on this site. Obviously, I’m obsessed with finding the best (and most realistic) solutions to removing cellulite! More from this author.